Led by Puerto Rican architects and engineers, this high-impact project is designed to help communities that still don't have power. 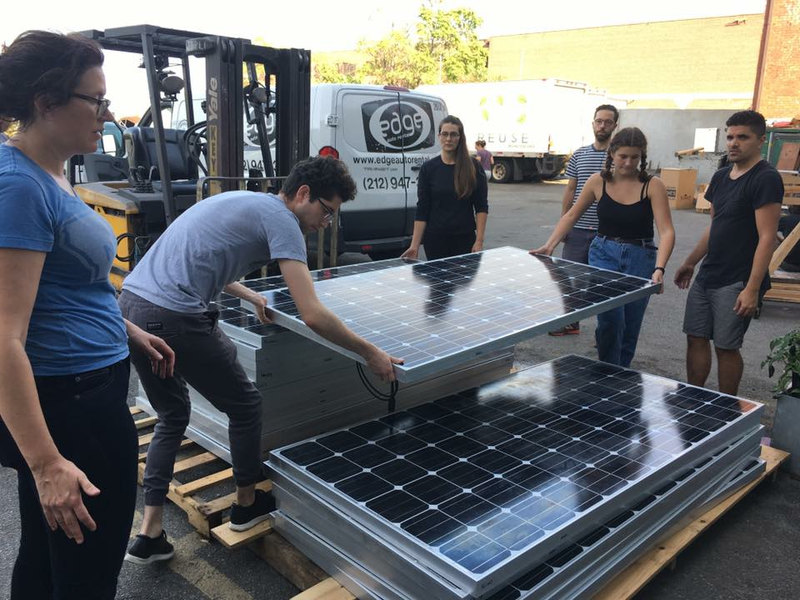 Resilient Power PR is installing solar-powered generators in remote and impoverished areas of Puerto Rico. They have partnered with Tesla to use the most efficient solar and battery technology. Hurricane Maria destroyed Puerto Rico's entire electric grid leaving millions without power. Six months after the hurricane 11% of Puerto Ricans still don't have power. Many of these people are located in poor, mountainous regions of the island. Experts predict many of these communities will be without power for many more months. Before the hurricane Puerto Rico's dependence on fossil fuels was hurting economic growth. The island imports most of its energy to the south and then transmits it across the mountains to northern cities like San Juan where most consumers are located. As a result Puerto Rico has the highest electricity rates in the country and one of the most hazard-prone grids. This makes it an unattractive place for manufacturers and business that would otherwise bring jobs that the island desperately needs. Many of the mountainous regions of Puerto Rico that don't have power are amongst the sunniest places in the United States. And thanks to recent developments in solar technology it is cost effective to install systems in these places. Each system installed by Resilient Power PR costs $25,000, an investment that pays itself back over time in the form of electricity bill savings. Resilient Power PR is working with local community leaders to install solar systems on top of community centers. In addition to giving poor, rural communities access to electricity this makes them more resilient to future natural disasters. Resilient Power PR chose to partner with community centers because they are the places people gather after a natural disaster to get medicine, fill out FEMA paperwork, and communicate with neighbors. Their goal is to install 100 off-grid solar generators by the next hurricane season. Resilient Power PR's mission is "to offer relief by providing electric power and maintaining basic services necessary for the daily life of our communities." Creating redundancy in the power system of Puerto Rico will provide security and reliability against future natural disasters or failures of the electrical system.